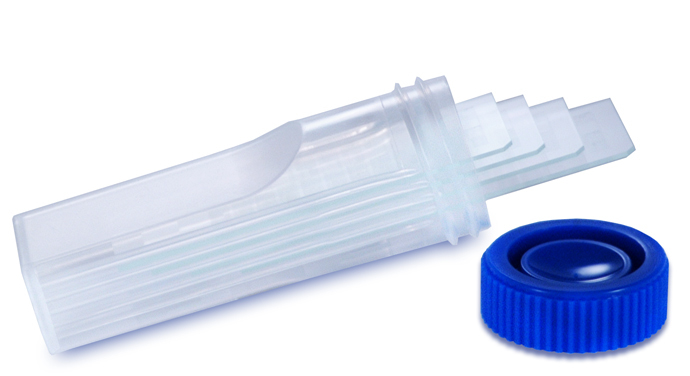 Arrayit offers easy to use molded plastic tubes with leak proof screw cap for washing, blocking and processing up to 4 microarray slides (1 x 25 x 76 mm) per tube. Tubes are slotted so that microarrays are safely separated during use to maintain microarray integrity. 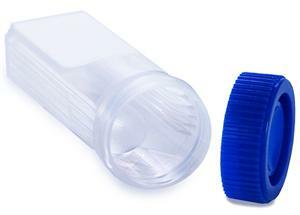 These containers can also used as shipping tubes. 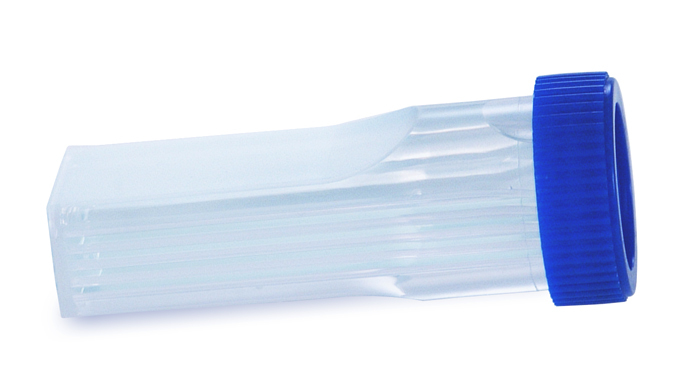 Chemically-resistant plastic are compatible with all standard microarray buffer systems and light solvents. Packaged in class 1 cleanrooms, free of biological and particulate contaminants, 25 tubes per package. Designed to block SuperProtein membrane based microarray surface chemistry prior to protein binding reactions for ultra low colorimetric background. 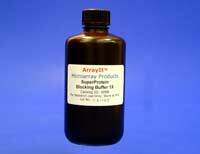 Designed for blocking the open reactive groups of SuperEpoxy and other glass microarray surface chemistries prior to protein and nucleic acid microarray binding reactions. Ships overnight on wet ice. 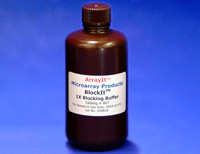 High purity blocking buffer for bulk solution high-throughput (HT) blocking of protein and DNA microarrays.